Carpentry play and activities can offer rich, diverse and exciting opportunities for skill development for young children. It is not about how pretty or how perfect a child can make their unique creation. The process, not the product is more important. It is about learning how to handle tools properly. Also, they learn hand/eye coordination, problem-solving, sharing, exchanging ideas, cooperating, socializing and sense of pride and achievement. 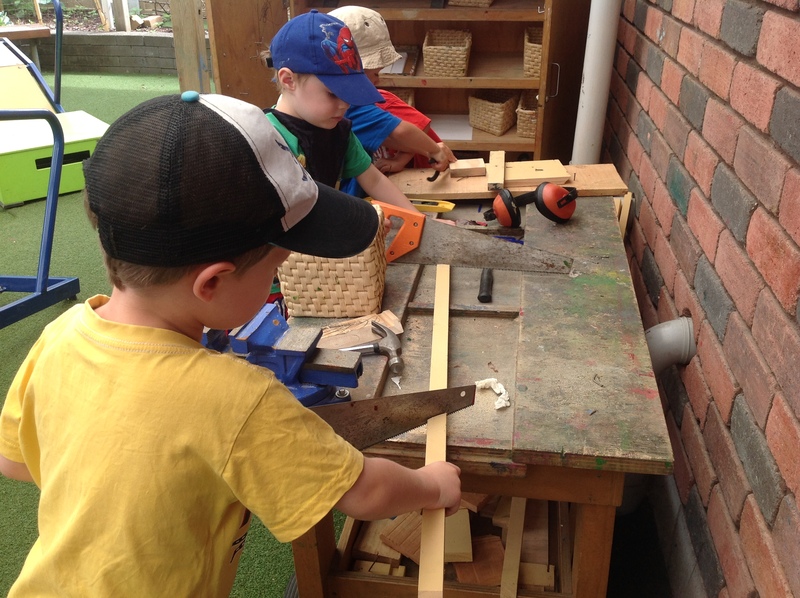 Why is Carpentry Play important in Early Childhood? Carpentry gives children an opportunity to build what they are interested in and thereby developing and practising a wide range of skills. Learn to share and cooperate as they work together with the materials. 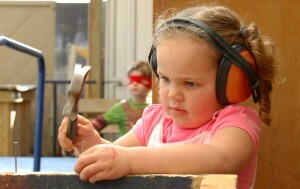 Carpentry also increases children’s language development skills as they learn names for the tools and the processes. Creative expression allows children to design, think of, and follow a task through to completion, giving them a sense of pride and achievement through autonomy and self-esteem. Have you had the opportunity to see our wonderful carpentry display in the foyer here at the Play to Learn Early Learning Centre? Here we have just some of the many wonderful creations our children have made at the carpentry table. The sense of pride the children have when they see their work displayed here is amazing!! Can you help our Childcare Centre at Te Rapa Hamilton? The children are all carpentry crazy and if you happen to have any resources lying around at home, such as wood, cardboard, or even plastic bottle tops, we would love to take them off your hands and they would all be put to great use! If you have any stories about carpentry experiences at your home, we would love to hear them, you can either share with one of our friendly staff, or write it on a Whanau voice form, available where you sign your children in.